Dallas County Democratic Precinct Chairs are the backbone of our party. If your precinct isn’t being served, please join us! We can train you to increase Democratic turnout come Election Day. Here’s everything you need to know about being the elected leader of your voting precinct:http://dallasdemocrats.org/about/precinct-chairs.html. Please read that and if you still have any more questions call the DCDP office at 214-821-8331. Vacancies among the Precinct Chairs are filled by the Executive Committee at their quarterly meetings. The next one will be on Monday, August 24. Applications to fill vacancies at that meeting need to be received at the party office no later than Thursday, August 20, in order to be able to verify registration. 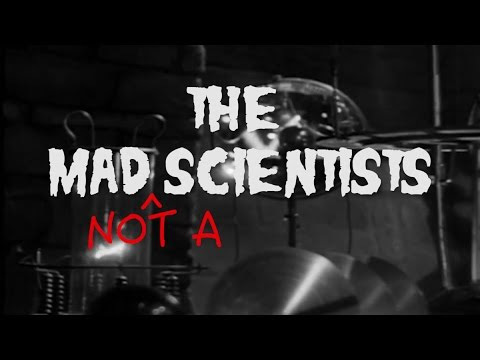 Laugh along with this YouTube of a Hillary Clinton video in the form of a trailer for an old-fashioned horror movie, mocking the Republican Presidential candidates all denying global warning, because they are “not a scientist”. It’s the GOP’s Mad (not a) Scientists. My first 30 days on the job have been very productive, thanks to an amazing DCDP staff. With the exception of Executive Director Taylor Holden, who accepted a job in Colorado before the DCDP election, all staff members are still on board and working hard. ⦁ Chris Nguyen has been hired part-time as Special Projects Manager. She assists with events, coordinates the DCDP Fellows, and helps with recruitment of volunteers and new precinct chairs. 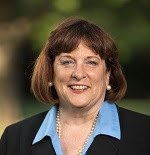 Currently, your DCDP Chair and Staff are working on a new and improved Sustaining Member Program, the Annual Labor Day Picnic (September 7, 2015), the Annual Fish Fry (October 2015), preparations for the upcoming March 1st primary election, recruitment of new precinct chairs and Fall DCDP fellows, a voter registration program co-hosted by a local Spanish radio station, community outreach projects and fundraising. Many of these activities are conducted in cooperation with the Precinct Chair Matters Committee, the Advisory Council, and the newly revived Fundraising Committee. On behalf of the DCDP, I am visiting churches and community events with Barbara Steele, who is serving as a community outreach consultant to the Party. I have spoken on a Spanish radio program to recruit new precinct chairs; I have been interviewed on the local CBS affiliate television station; and I am visiting Democratic clubs and attending community meetings throughout the county, letting voters know we are gearing up for 2016! You will soon hear more about the work of your DCDP staff. They are committed, hard-working Democrats, and it is an honor to work with them all. The national Democratic Party has put up a page of helpful things you should know about The 2016 Republican Field of Presidential candidates. They range from absurd to awful, and many are both. On Tuesday, November 3, 2015, we can all vote on seven proposed amendments to the Texas Constitution. You can find the ballot language and explanations at http://votetexas.gov/november-3-2015-constitutional-amendment-election-explanatory-statements. As always, we need more election clerks to help hold this election, especially bilingual ones, as well as some Alternate Election Judges and a few Election Judges. 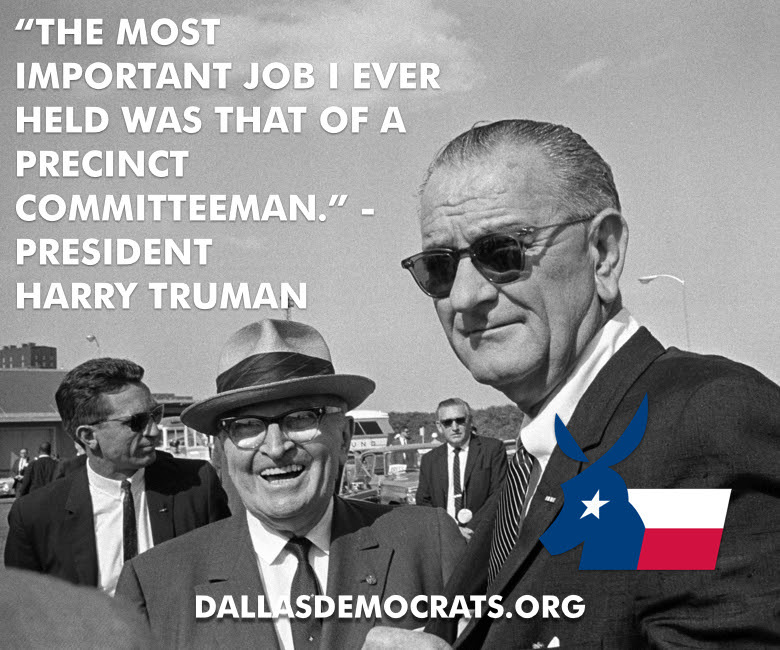 You can read more about the tasks and requirements, and find a link to the application, at http://www.dallasdemocrats.org/elections/election-worker-registry.html. Candidates for Precinct Chair can’t file for the 2016 Democratic Primary until Tuesday, September 15, 2015. 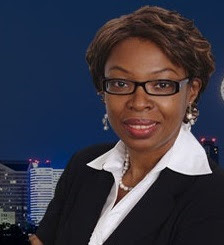 Candidates for public office can’t file until Saturday, November 14, 2014. Filing ends for candidates for both Precinct Chair and for public office on Monday, December 14, 2015, and is set by law to end at 6 PM. Find more information about running for public office and links to forms for filing for the primary, filing of campaign treasurers, filing fees, and to the petition forms that candidates for JP and Judge have to get voters to sign to get on the primary ballot (or that other candidates can use to avoid paying filing fees), at http://www.dallasdemocrats.org/elections/election-facts.html. Read this memo about from the Texas Democratic Party to learn the steps to becoming a delegate and how many delegates are allotted to your senate district. Senate District Conventions (March), the Texas State Convention (June), and the National Convention (July) are listed on the calendar below. Bernie Sanders for President Organizing Meetings — Meet other Sanders supporters and watch live broadcast of his announcement. These start at various times, from 5 PM to 7 PM. To find one close to you (scheduled so far are at least 4 in Dallas, plus Addison, Rowlett, Arlington, Denton, and Fort Worth), enter your zip code at https://secure.berniesanders.com/page/event/search_simple. 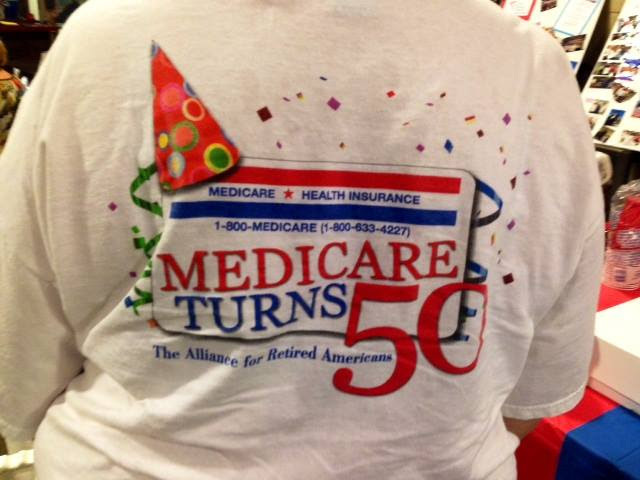 TARA Celebration of 50th Anniversary of Medicare / Medicaid — Texas Alliance for Retired Americans celebrates the 50th anniversary of Medicare and Medicaid. Join us for this free and fun event! See the Facebook event page at https://www.facebook.com/events/1433737716935973/. (12:30 to 2 PM, Alliance/AFT hall, 334 Centre St. at Bishop in Oak Cliff, Dallas 75208). Conversation with Maya Harris, Senior Advisor to the Hillary Clinton campaign. Ms. Harris is one of three senior policy advisers to lead the development of an agenda for Hillary’s presidential campaign and also specifically focuses on policy and issues for women of color. In addition, Maya is also the sister of California Attorney General Kamala Harris. Attendee, $250; Co-host, $500 and Host, $1000. 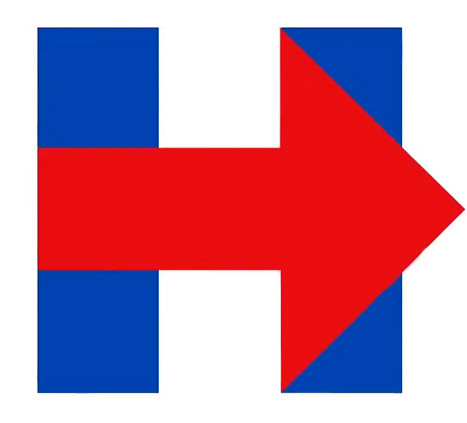 To RSVP go to: https://www.hillaryclinton.com/ticketed-events/conversation-harris-jul-30/?raiser=112322. Time and location in Dallas confirmed upon RSVP. Last day to submit applications to fill Precinct Chair vacancies. Stonewall Democrats Annual Fundraiser — Test your knowledge of all things political With your Host Edna Jean Robinson. Sponsorship levels ($100 – $1000) get you entry into the game and to the pre-Trivia reception. $20 suggested donation at the door. $20 to play trivia. Order online at stonewalldemocratsofdallas.org/donate. (3 – 6 p.m., at Round Up Saloon, Dallas). DCDP Labor Day Picnic — Details later. Collin County Democrats Ann Richards Gala — Joaquin Castro, US Congressman for the 20th District of Texas and Chief Deputy Whip for the House Democratic Leadership, will deliver the keynote speech. 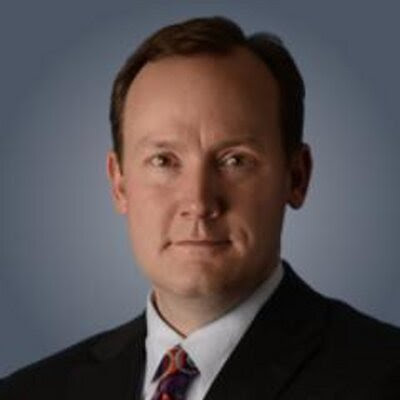 He will be joined on the podium by Mike Collier, Finance Co-Chair for the Texas Democratic Party. All proceeds go to support the Democratic Party of Collin County. 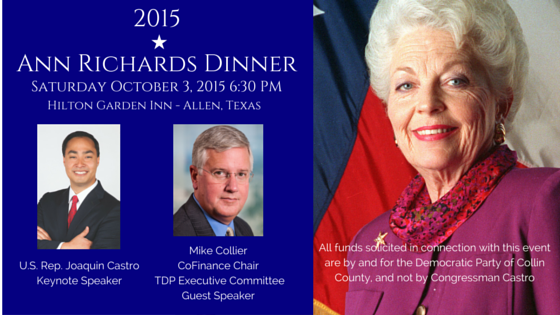 For more information see http://www.collindemocrats.org/2015-ann-richards-dinner/. For tickets ($75) and sponsorships ($250 – $5000) see https://secure.actblue.com/contribute/page/annrichards. (6:30 pm, Hilton Garden Inn, 705 Central Expressway S. [at Bethany], Allen 75013). Constitutional Amendment Election — Seven proposed amendments to the Texas Constitution. See ballot language and explanatory statements at http://votetexas.gov/november-3-2015-constitutional-amendment-election-explanatory-statements. (7 AM – 7 PM, local precinct polling places). Previous ArticleFriday Wrap: Crabs and Corgis and Cobras, Oh My!